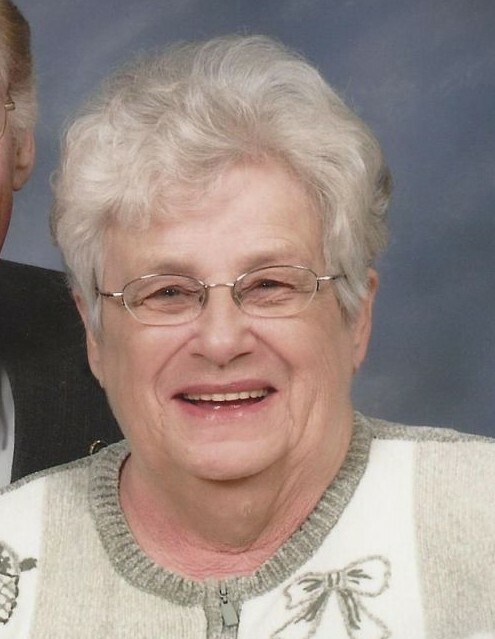 Obituary for Patricia A. Jesse | Peterson Kraemer Funeral Homes & Crematory Inc.
Patricia A. Jesse, 85, Wausau died Thursday, January 17, 2019 under the care of Aspirus Comfort Care and Hospice Services at Colonial Manor Nursing Home, Wausau. She was born May 27, 1933 in Wausau, daughter of the late Edward and Evelyn (Mess) Wendt. In 1954 she married Richard Jesse at St. Mary Catholic Church, Wausau. He survives. Pat was first and foremost a homemaker who was a wonderful cook, gardener, and excellent seamstress. When her children got older, she ran the Corner Grocery Store on Prospect Avenue in Wausau. After the store closed, Pat went to work for Kmart until her retirement in 1996. Many summers were spent at the family cottage on Bass Lake near Lake Tomahawk where Pat loved to go fishing. Another favorite pastime was going on casino trips with her husband, Richard. Survivors include her husband, Richard Jesse, Wausau, her children, Julie Bouvat, Rothschild, Laura (Don) Reinhard, Wausau, Kathy Reinhard, Wausau, Mari (Andy) Olive, Minneapolis, and Rich (Michelle) Jesse, Menasha, 8 grandchildren and 10 great-grandchildren. Besides her parents she was preceded in death by a brother, LaVerne Wendt, a granddaughter, Chelsea Reinhard, and a son-in-law, Dale Bouvat.